It’s hard to believe that it’s 20 years since the death of BBC Today presenter Brian Redhead. I still remember the shock of hearing the news on a Sunday evening BBC news bulletin, realising I’d never again hear that wonderful, impassioned northern voice on Today as I drove to work. 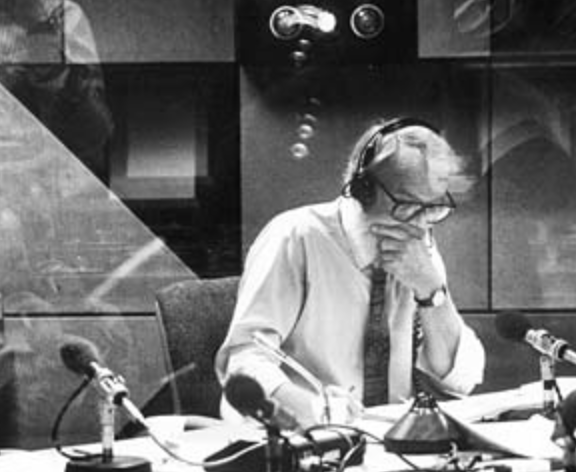 Brian was an extraordinary broadcaster. He’s best remembered as a combative interrogator of politicians, and for his contempt for Tory chancellor Nigel Lawson’s assumption in an interview that Redhead supported Labour. But Brian was also a fine print journalist on the Guardian – and I cherish the memory of his beautifully judged, tender 1993 interview with a school child over some long-forgotten subject. He was a journalist and broadcaster whose talent ranged far and wide. Redhead became famous for his Today partnership with John Timpson. They seemed like chalk and cheese: mercurial and mellow; northern and southern. But the pairing worked, and helped transform Today from a lightweight show to national treasure. Poignantly, Brian’s son Will was killed in a crash that almost took the life of Nick Robinson, Will’s friend and the BBC’s current political editor. Nick has explained how the connection inspired emotional thoughts when he briefly presented Today. I’ve been a Today fan for almost 40 years. I remember the days when Desmond Lynam presented the programme. As a teenager, my morning routine followed the Today running order, unlike my school friends who preferred Dave Lee Travis and Mike Read on Radio 1. Thirty years on, Brian Redhead remains a broadcasting legend. This entry was posted in Media and tagged BBC Today, Brian Redhead, Radio 4 by Rob Skinner. Bookmark the permalink. Rob, I’ll have some of what you’re having. Two great posts in a row. Like you I was a fan of Today as a child, which in retrospect seems to have been an even wiser choice than we realised at the time. Thanks, Stuart. It’s always nice to have good subjects to blog about, especially when I’m trying to post more regularly. It’s significant (and heartening) that a radio programme remains Britain’s most influential breakfast show, 31 years after the start of breakfast TV.